Ema Vega, 6, waits for the start of the costume contest during the Fairy Festival at the Edinburg Scenic Wetlands & World Birding Center on Saturday, July 28, 2018 in Edinburg. 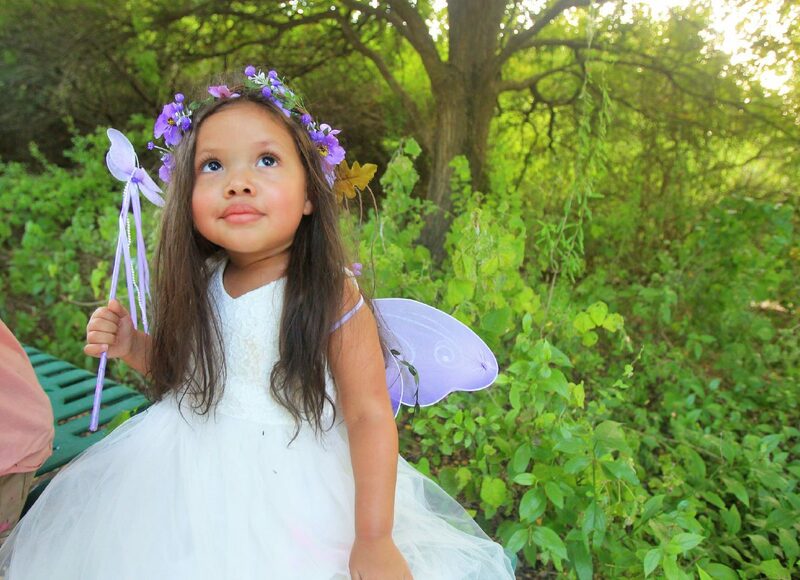 EDINBURG — Dressed in a purple outfit with pink, yellow, and blue wings, and a dinosaur skirt, Molly Peña, 4, sat on a picnic table focused on building a fairy house. 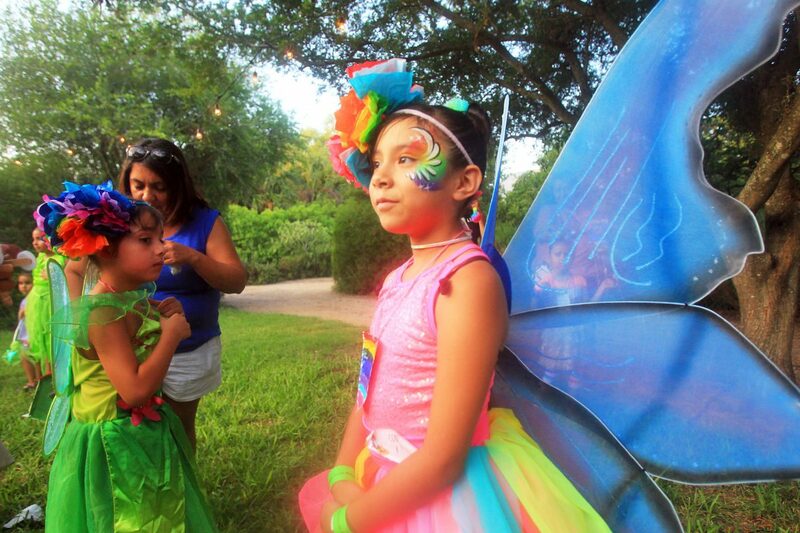 Although Molly wasn’t alone, she was one of the many children who were guests for the annual fairy festival held at the Edinburg Scenic Wetlands and World Birding Center on Saturday evening, where they got to relish in the scenery around them. “We came last year and she (Molly) wanted to come again because she had a good time,” said Molly’s mom, Melissa Peña of Edinburg. 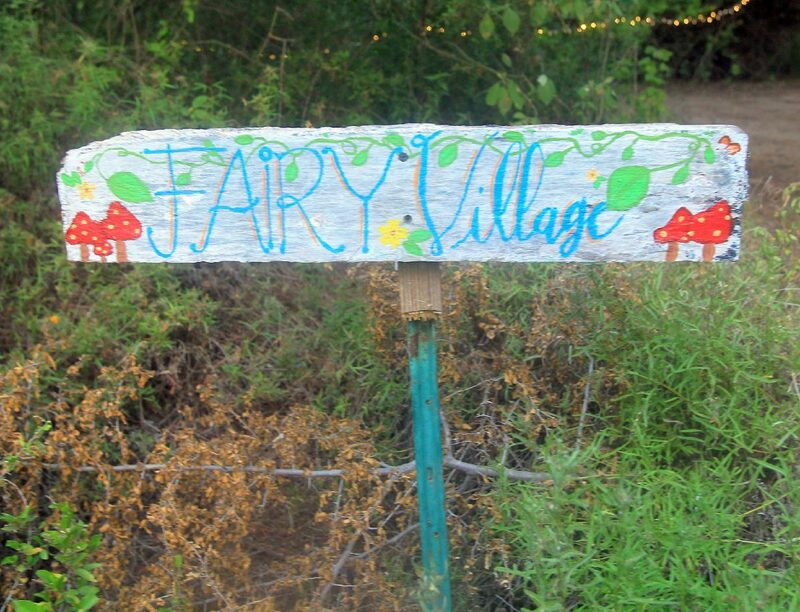 Molly, like the other fairies, were able to select all the items for their fairy houses, such as the amount of tree branches, sod, shells and bird seed. All the items were in wheelbarrows along the “Wheel Barrow Trail,” leading up to the location of the fairy house building section. Eveliyn Thomas, 2, poses in the garden dressed up as a small fairy during Fairy Festival at the Edinburg Scenic Wetlands & World Birding Center on Saturday, July 28, 2018 in Edinburg. 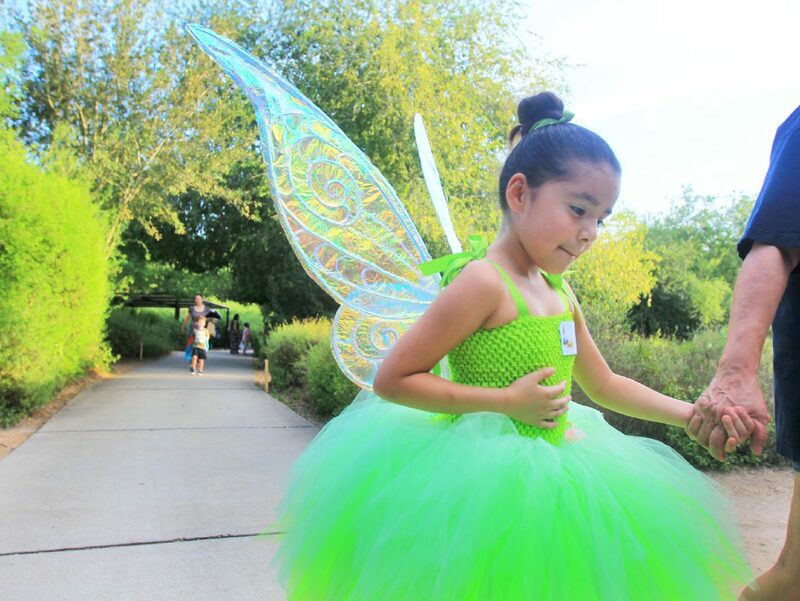 Shelene Ybarra, 6, walks through the pathways dressed up as a fairy during Fairy Festival at the Edinburg Scenic Wetlands & World Birding Center on Saturday, July 28, 2018 in Edinburg..
Olive Lopez, 3, works on crafts during the Fairy Festival at the Edinburg Scenic Wetlands & World Birding Center on Saturday, July 28, 2018 in Edinburg..
A sign guilds visitors during the Fairy Festival at the Edinburg Scenic Wetlands & World Birding Center on Saturday, July 28, 2018 in Edinburg.. In addition to all the items collected, the children could also paint and glue their houses to keep the objects together. In some cases, parents assisted their children in making them. “She loves arts and crafts and loves to paint,” Melissa added. The evening also offered several activities throughout the walking nature trails and inside the birding center. Some of the indoor activities included making a nature wind chime, which was made using pine cones, tree cookies, seed pods, shells and string ore creating a flower crown with colored tissue paper and pipe cleaners. The only item that was the same for each object — a child’s imagination. The outdoor activities included getting hands dirty by making mermaid slime at the mermaid lagoon in conjunction with making a personal owned catapult using Popsicle sticks, rubber bands and a bottle or screw cap. Another guest was 4-year-old Ethan Fowler, who, with assistance of his father, Rafe was making a catapult. Close by his mother, Alyssa, was capturing the moments on her phone’s camera. Volunteer Michelle Maldonado was demonstrating to them how to make the catapult. 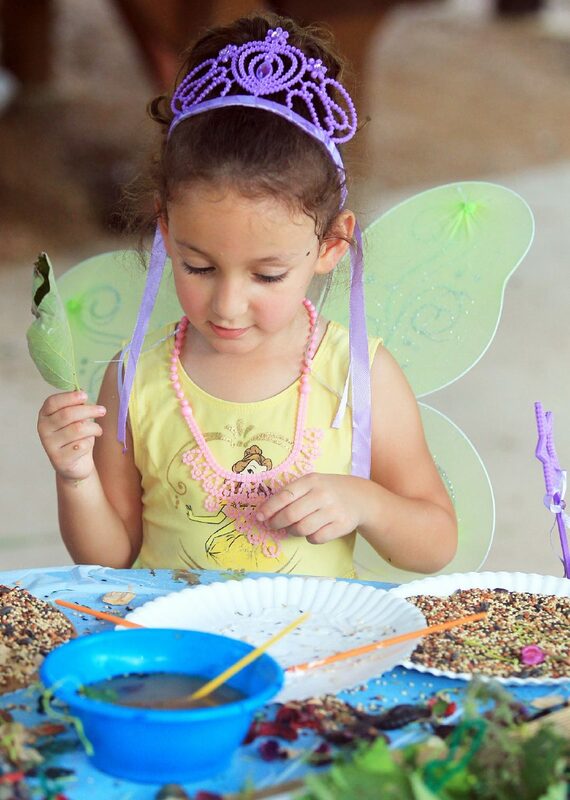 Marisa Oliva, manager at the Edinburg World Birding Center, said the fairy festival was to bring the children out of the house and appreciate nature. After holding the event during winter and the spring, they decided to hold it in the summer and late in the evening for families to enjoy the gardens at night and see everything lit up.